Book a free Market Appraisal with O’Gorman and we will advise you on the current market value for your property. Renting a property can be a daunting task, especially if you’re embarking on it for the first time. This step-by-step guide is designed to help steer you through the process from start to finish, however if you still have some questions after reading it please don’t hesitate to contact O’Gorman’s team and we will be happy to assist. Our team of highly experienced and motivated letting agents are firmly committed to providing you with an unparalleled level of service aimed at making the letting experience a more pleasant and fruitful one. What are you looking for, e.g. 1, 2, 3 or 4 bedrooms? How long do you want to rent the property for? Usually our rental periods are for a minimum of twelve months. Do you require a furnished property? Are there any factors you are not prepared to compromise on, e.g. outside space, off-street parking, etc.? What area(s) would you like to live in? We generally cover the Wicklow and South Dublin areas, but if you are unsure about a particular neighbourhood and the types of properties available a member of O’Gorman’s team can provide further advice. How much can you afford to pay for your perfect property? 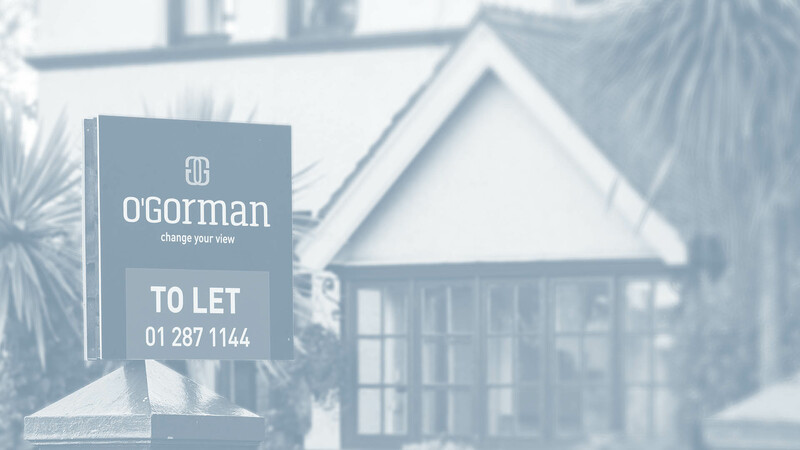 One of our experienced lettings negotiators in O’Gorman will then check our database to draw up a list of available properties that best meet your criteria. After perusing the list, you can tell us which properties you would like to view and we will go ahead and make the appointments for you. We accompany you on all viewings in order to offer advice and answer any questions you may have about the property or the area it is in. Remember that the North Wicklow and South Dublin area rental market moves quickly and if you find the perfect property, or one that meets the majority of your requirements, be prepared to move quickly so as to avoid disappointment. Generally before you have been accepted as a tenant on a specific property, you will be asked to provide your references and these will be checked. This will involve contacting your previous landlord, your employer and anyone who has agreed to provide a character reference. You will also be asked to provide a bank reference or statement for the past 3 months. 2) Deposit – usually equivalent to one months rent. All rental payments will be made in advance by monthly standing order so you will need to have your bank account details available in order to complete the necessary form. Assuming all payments, documents and references are in order and your lease has been signed, your keys will be available for collection on the start date of the tenancy. Usually these can be collected from O’Gorman offices or they will be given to you at the property on a date and time pre-arranged with our lettings advisor. Meter Readings for the utilities (gas or electricity) in the property will be taken on your move in date and will then be transferred into your name as quickly as possible. Step 5: Any problems after I’ve moved in? When you move in, you will receive a welcome letter telling you who to contact in the event of any problems arising. If your property is managed by O’Gorman or another managing agent, this will be the name and contact details of your property manager. Alternatively, if the property is managed by your landlord it will contain their full contact details. For any questions concerning your tenancy agreement, break clauses, payments or renewals, you should contact O’Gorman Agents who will be happy to assist you. Phone lines are open 9am – 5:30pm. If you are thinking of selling your property in Wicklow or South Dublin area in the near future and would like a guide on how much it might be worth please contact us. One of our property experts will be in touch to arrange the complimentary valuation. Please note you are under no obligation at this time.